In the case of science deniers, one has to examine the reasons behind their seemingly irrational rejection. If one believes in the literal truth of their sacred text, and that it all came from God either through literal revelation or inspiration, then it follows that nothing in it will be false. Even if something may not seem to make much sense, it must be the Truth, because it came from God and therefore cannot have its validity questioned. Furthermore, belief that the entire text came from God means one cannot pick and choose what they believe and what they can deny. For when it comes to religious scripture, denial of the part is equivalent to denial of the whole. Hence, if what one believes to be God’s word tells them something about the world, that makes anything contrary to it a falsehood no matter how convincing it might be. In a sense, it becomes as what many believe it to be a matter of shutting off the intellect. Thus is the consequence of being exclusively exoteric in approaching Revelation. For those believers who could not reject science, while still having faith in God’s word, reconciliation between the two was in order. But due to the limited understanding of both the scientific process and sacred scripture, the reconciliation came in the form of accepting what we learn through science to be the Truth in its literal sense, and scripture became a collection of allegories and various exaggerated stories that are meant to provide lessons and wisdoms to live by. Revelation for those believers having taken this form can no longer be a collection of injunctions and literal commandments. Rather, it is more like a novel one reads and discusses in their English class as they negate the external meanings and try to decipher the indications for what is said. In this way it is all relative, and to negate the external in search for alternative possibilities being indicated means having a sound intellect. Thus is the consequence of being exclusively esoteric in approaching Revelation. Seeing that both approaches are extreme in their nature, we end up with absurd consequences. Strict exotericism results in denial of experience and human intellect, while strict esotericism makes Revelation merely a collection of allegories and wise tales that are not rooted in reality per se. Either way cannot be true since the former denies us the quality that makes us human, while the latter denies one of the central functions of Revelation. When it comes to how Revelation is viewed in Islam, i.e. the Quran, it is upheld as the literal and unaltered word revealed from God to his Prophet and Messenger Muhammad peace and blessings be upon him. Even when you examine the Hadith literature where the sayings of the Prophet peace be upon him are recorded, one can easily notice the difference in patterns of speech and choice of words when they are compared with the Quran. The question of how to approach the Quran can be answered by saying that along with a deep understanding of the Arabic language and its various ancillary sciences, as well as the different contexts of revelation, it is a sophisticated combination of exotericism and esotericism. But let us come back to the Quran again. Despite having remained silent to a large degree on the matters dealing with the technical details of the physical world, there are a few very interesting verses and even full passages that outline physical phenomena. These verses typically give the non-Muslim a few reasons to scratch their head thinking about how an illiterate man that came over 1420 years ago could have known such details that only became known as a result of our modern technological advancements. The verses dealing with human embryology come to mind as an example. Despite the wondrous nature of a few passages found in the Quran from a phenomenological perspective, this does not mean one can go to it and start looking for scientific explanations of the world. The Quran is NOT a book of science. The purpose of the Quran is to be a form of direct communication between God and man, and the presence of the verses that drive the movement of the “Scientific Miracles of the Quran” are to simply identify who the Quran came from. Moreover, although some passages are classified as scientifically miraculous, others pose a serious problem from a scientific perspective. According to the Quran, Adam peace be upon him was created by God as a unique creation, from whom all humanity came from. But according to the current scientific understanding, there was no Adam and Eve. Rather, there was a gradual process of evolution that took millions of years to finally give rise to homo sapiens, which are descendants from a common ancestor shared by all life on this planet. The two narratives are incompatible, which means as a Muslim, one has to reject the scientific one in favour of the Quranic account. This presents an apparent problem: how can a Muslim be selective in their use of science to “prove” that the Quran is the true word of God, when science can be used by a non-Muslim to do just the opposite? Before delving into this matter, we must first distinguish between readily observable phenomenons, and theories explaining those phenomenons. Furthermore, we must also distinguish between the essence of phenomenon and its manifestation. For example, the manifestation of the moon is that it is a round body in the sky visible on a clear evening and changes phases throughout a 28-day cycle. It is a beautiful object that is constantly used in romantic novels and poetry and has influenced human culture and expression quite significantly. However, the essence of the moon is a cold, lifeless, dark and round large rock that is full of holes possibly resulting from the bombardment of multiple comets. Moreover, the light we see coming from it is not in fact coming from it, but is just a reflection of the light originating from the sun and hitting it. In other words, as opposed to its manifestation, there is really nothing beautiful or romantic to be said about the essence of the moon. Where does this come in with the Quran and science? Science is the process of discovering the essence of phenomena and devising theories behind how they work, which can lead to manipulating the direction these phenomena take. The Quran on the other hand, as well as the Hadith literature, deals more with the manifestation of the phenomena since that is the reality of our human experience. The discovery of the essence of nature and its underlying workings are left for us to work on and understand through science. When it comes to scientific theories that seek to explain the origin of the universe and life on this planet, and how it all progressed over the past 13.8 billion years, it must be kept in mind that this is not the same as explaining the mechanisms of a disease or how we can come up with more advanced technology. Moreover, we must distinguish between forward-inducing and reverse-inducing theories, because it seems that the only theories that blatantly contradict the Quran and Islamic teachings about the world are the logically fallacious reverse-induced ones, i.e. when one says that humans are a higher evolved species that happened to be lucky in the intellect department. 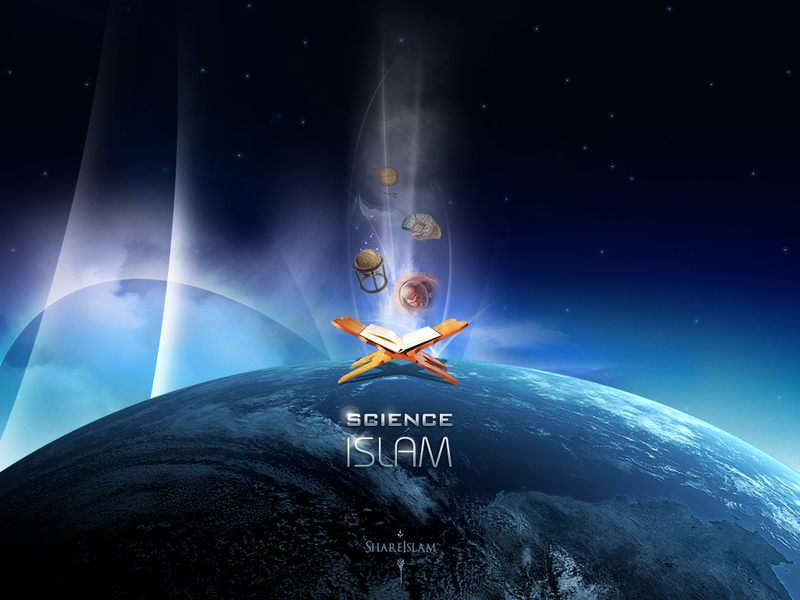 The relationship between Islam and science is quite complicated and therefore cannot be directly described simply as a contradiction or a non-contradiction. While Islam encompasses multiple levels of reality and confirms human experience, science is more limited in its pursuits than many would like to believe it to be. Unfortunately, the success of the scientific method combined with conflation of concepts and inability to discern where science ends and philosophy begins, as well as the delusion of rationality that in reality is nothing more than a clever use of sophistry, have all resulted in a state of confusion for many believers, and hubris for others who worship science. Regarding the concept of Adam and Eve, however, don’t you think it is possible that we can actually synergise both theories? In fact, in this video (http://www.youtube.com/watch?v=l7AWnfFRc7g), at the 8:40 mark the lecturer does hint to something similar; maybe it’s possible that God when he made Adam and Eve descend from heaven to Earth, it was simply a matter of sending down their souls into a different physical body in this world? I’m not a scholar though, so my interpretation of the event shouldn’t really be taken seriously as I haven’t studied much about it, but just a thought. About Adam and Eve, the Quran says that Adam was created as a body first, and then the soul was breathed into him. That was the point Allah told the angel to bow in prostration to him, which happened before the whole incident with Iblees and being expelled from Heaven. I’ll tell you an interesting point. There is actually a disagreement among the scholars about whether Adam and Eve were in the Paradise that the Quran talks about where the believers will go to live for eternity, or if it was a make-shift heaven right here on Earth that was a place for Adam and Even to be until they finally learned to use their intellect and Free Will before taking up their responsibility as the Caliphs of Allah on Earth. We don’t have an exact revelation to tell us which one is the right one, but I’m really inclined towards the latter one. That and Allah knows best! Do you have any other literature / book / authors or scholars that takes this position? Glad you found it interesting Brother Pavel. What I’m relaying here is a combination of my understanding of material that has been discussed by traditional Muslim scholars over the past 1300 years. I’m bringing in a bit of Imam Al Ghazali and mixing him with Imam Al Akhdari as my main sources here. But if you look into Logic according to Muslim scholars, you’ll find a lot of what I’m talking about there. I don’t say this because I’m a Muslim, but because it’s the truth. Our scholars have devised a much more comprehensive system of logic and have examine epistemology to an extent that no one in the West has done. Once you look into it you’ll find that it’s a very deep ocean. Unfortunately, much of it is in classical Arabic and I’m not aware of any translations. I’m actually working on writing a book that brings the classical tradition to light up the darkness of modern mass confusion. Insha’Allah I’ll have it out in the next few months. JazakAllahu Khair. May Allah (swt) accept your effort and put barakh in your work. Ameen. Nice Article. Here some explanation on Evolution by an ex-atheist convert to Islam. In a nutshell he said evolution is now umbrella with many theories and hypothesis within itself. He say general theories like Speciation and natural selection have no problem. But hypothesis like like Abiogenesis and Human’s evolution from apes is not but speculation. Anyone who reads chapter 21 (Al Anbiya), verse 30, will be forced to stop and ask how is it possible that two scientific theories are mentioned here, but “The Quran is NOT a book of science.” You put it well, everything we perceived through our senses is a “manifestation,” and the Quran helps us to come close to its originator/reasopn/cause, or, in other words, the Truth. I’ve been playing a little catch-up on your blog, and felt the need to continue our previous discussion and provide some general thoughts. I’ll start here, with this article, and segue into some thoughts from earlier ones. Science and religion are difficult to reconcile in today’s world, and to accept one set of explanations is often seen as tantamount to the rejection of the other. However, you say, this need not be the case, at least with the Quran, since the Quran is a book that talks about “manifestation” (which to me reads “subjective reality”) rather than “essence” (reads “objective reality”), and science refers to the latter. is clearly a set of observations that are objectively verifiable (granted, from a human perspective) and, it seems, could still be seen as claims of its “essence”. Your second statement is perhaps more what you mean by “manifestation”, when you speak of the moon’s beauty. This claim, however, is subjective – many think the moon is pale and ominous, a body which has been used in many dark and suspenseful tales to convey a sense of foreboding. Have old and new tales of werewolves howling under the full moon not shaped our culture as much as any romance poem? But I do take your meaning, if I’m not mistaken, in that you’re attempting to relate the qualities of the moon that pertain more to our human experience of it. Perhaps you could clarify. I do get the distinct feeling you wouldn’t simply label (as I’m tempted to) manifestation as subjective and essence as objective. Nevertheless, your account of the moon’s essence appears to be more in line with an unattached statement of what is hanging there in space – a set of claims about the factual reality of it. What it is, rather than how it seems to us. Science, then, is the realm of essence and not this other reality of the human experience, and with science we seek to explain the essential workings of nature, whereas texts like the Quran seek to explain nature’s manifestation in human experience. By doing this little bit of fancy word-work, you seem to be suggesting it’s possible to buy into both “Truths”, as they are truths about different realms. Indeed, you say making the choice to completely reject one truth or the other leads to absurdity due to its extremity. To be frank, I disagree. And I’d argue that taking a middle position that tries to accept both truths as you attempt to here often leads to problematic logical acrobatics and creative explanations necessary to concoct a consistent outlook. This attempted dichotomy of manifestation vs. essence (at least at first glance) smacks as such, and I feel it is being intellectually dishonest. At very least, it remains unsatisfying to the skeptic. Is, indeed, the Quran the “Truth”? 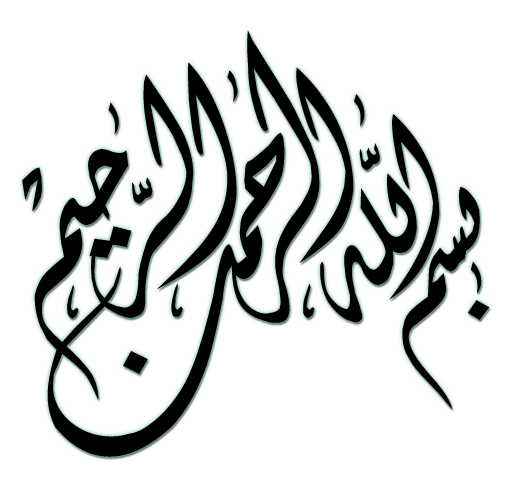 That is, is it the literal and unaltered word revealed from the creator, God, to his messenger the Prophet Muhammed? If your answer is yes, as many contend, then claims by God, our creator, about our creation cannot and must not be false. (Unless, I suppose, God would mislead us, in which case we should have no basis for making adequate sense of the rest of his teachings.) How could we doubt the word of the divine? That Adam and Eve were unique creations by God from whom we have all descended is precisely one such claim. This is not simply a claim of “manifestation”. It is one of our very humanness, our essential origins. It is, of course, unverifiable, though this is excusable due to – and here we agree – the Quran not being a book of science. But! If we can at all trust the science that has emerged over the past century, we can see clearly that this divine account of the birth of humanity cannot be true in any literal sense. It is at odds with the most basic population genetics, science which does not depend on – yet provides foundational support for – evolutionary theory, which you have expressed your doubts of. Still the most basic truth in the conservation biology is that there MUST be sufficient genetic diversity to sustain a population in the face of environmental adversity. This means a vast number of breeding pairs, and the more the better. Viability requires genetic diversity, there is little if any debate on this. With this in mind, evolutionary theory, unlike the Quran account, provides a clear and coherent account of how we arrived here today that lacks such a glaring (and incestuous) problem. So here I’m at a loss. I fail to see (and you fail to adequately explain) how these two different accounts of the origins of humanity can be reconciled. One is consistent with a large and continually growing body of historical peer-reviewed evidence and basic scientific fact about the results of inbreeding that are demonstrably true and observable today. The other is an unambiguous claim about our origins from an infallible creator, apparently passed on through the brain of a single man and recorded 1400 years ago. I contend that attempting to reconcile these incompatable views with talk of “manifestation” vs. “essence” is a feeble attempt at maintaining loyalty to two standpoints which, in this case and many others, are at complete odds with one another. They really are at complete odds here, you must admit. So what are we to do, then, when scientific investigation conflicts fundamentally with the Truth of God? Personally, I’ve had to take your second option and reject the God explanation, in any sense that I’ve understood it thus far. If this perhaps most fundamental of God’s claims is demonstrably wrong, what about the others? If it is somehow a metaphor, how am I to understand the rest of the scripture if not as allegories on how to live a good life, written in a different era of understanding? As I’ve mentioned, giving this up was not an easy choice for me (of course, my exposure was to Christianity, but the point remains). I rejected the Bible, but this did not mean I’d rejected spirituality, morality, or even some forms of mysticism. Furthermore, it does not mean I am not open to the distinct possibility of there existing a creator, however unlikely I deem it. What it does mean is that I’ve relegated my need for the spiritual to that which is not well understood and which I reserve judgment on, as well as given up on monotheistic scripture as a complete guide to life. What you’ve done is a different approach, and one that I would argue is more in line with your first option – ie. the rejection of science. Of course, you don’t reject all science. In fact, you celebrate much of it. Instead, what you do in your writings is attack what you perceive as weaknesses of reasoning, of backwards induction, and of the scientific methods employed to arrive at the theories and conclusions which conflict fundamentally with your beliefs. Though you are a person of science and value many of the insights it affords, you are selective with it, and claim to legitimately throw it out where it does not meet stringent philosophical and methodological requirements. In the case of macroevolution or speciation by natural selection, since it hasn’t been directly observed it cannot be validated in your mind. The huge body of multidisciplinary work in paleontology, in geology, geography, archeology, biology, etc. that elegantly meshes together within the purview of evolutionary theory be damned! It hasn’t been SEEN, except for a few changes in bacteria which reversed once the pressure was lifted. Nevermind, of course, that this reversion can be seen as further evidence of selection pressures determining trait variation. On this note I find it rather interesting that synaptic plasticity as a foundation of learning, the subject of your neuroscience graduate work, rests on very similarly unobservable ground. How can we be sure that plasticity really is learning? Sure it seems like a good model, but has it really been observed? If not, should we really be proceeding under the assumption that it is? Certainly we should think twice about the synonymity with which we use “plasticity” and “learning” in the neuroscience literature. It has always seemed rather strange that you don’t appear to attack the notion that plasticity=learning with such fervor as you do evolution. Perhaps it, too, should be called the “hypothesis of synaptic plasticity as learning and memory”? What, exactly are the examples of sophistical reasoning? What are the conclusions that stem from them? Please, break them down for your readers so we, too, can understand what is fallacious about them. Which of their conclusions are embarrassing, and why? For whom should we feel embarrassed? There are numerous examples of this in your writing. Instead of providing us with a real and grounded analysis, you are essentially name-calling and at most relying on philosophical arguments about the limitations of the scientific method and of induction to make your points. Indeed, these are fundamental considerations. The scientific method being governed by established paradigms and authoritative individuals is a constant issue, one that I think most scientists admit. However, there are clear-cut examples over the history of science that demonstrate its self-correcting nature (google Marc Hauser for a recent one). Scientists are many in today’s world, and most like nothing better than to shoot holes in theories and ideas that no longer jive with the data. I maintain that you give a serious lack of credit to a theory like evolution, one that both initiated a massive paradigm shift and has endured for over a century. You present things as though the masses are tragically misguided by their faith in science and belief in evolution, that current understanding is based on inductive fallacy and appeal to authority, but this is simply not true. Given the breadth and scope of the theory of evolution – that is the vast number of fields of evidence that it draws upon for its conclusions – the appeal to authority fallacy is easily shrugged off. How likely is it, really, that hundreds or thousands of scientists from vastly divergent fields, each rife with its own experts and controversies, over the course of the past 100 years (so significant turnover has occurred), would remain united in their understanding of the earth’s history if the evidence didn’t suggest it beyond a shadow of a doubt? Whose authority grants so much power as to silence all legitimate scientific questioning? It must be a grand conspiracy, indeed. Again, this is a moment where providing a serious critique and a collection of dissident works which are sound in their methods would be a welcome rebuttal. As far as induction goes, it is certainly not the strongest method of coming to a true conclusion. However, you continually call it fallacious. Certainly, it is not deduction, where the conclusions are claimed to necessarily follow from the premises, but induction is not invalid, simply a probabalistic claim based on the information at hand. When it comes to evolution, the information at hand is immense, and if a conclusion achieved by induction appears to hold true across a century of criticism and inquiry, one begins to doubt its falsehood. This isn’t to say that all aspects of evolutionary theory will hold up, but it seems difficult if you accept many of the most basic and well-accepted claims of the sciences that evolutionary theory rests upon (ie. the earth is billions of years old and has constantly changed in climate and geography, that life is coded by genes and gene replication is subject to error which yields measurable changes in phenotype) to deny that evolution occurs. In a clear cut way, once you’ve granted me a few induction-derived premises, natural selection may be as good as deduced. Drastic phenotypic change demonstrably occurs over the course of time when selective pressures are applied – humans have been doing this for centuries (dogs, livestock, wheat, flowers, etc.). Yet there is no need for the selective pressures to have come from us. The environment provides myriad opportunity, and the age of the earth allows for the diversity of life seen today. and discussions of our atheistic pursuit of constant fulfilling of our “caprices and desires” are not only unsubstantiated, but they demonstrate a self-righteousness inherent in your viewpoint which undercuts the credibility of your arguments. You can feel the scorn dripping from your words, and as such you simply serve to further polarize readers – both those who agree with your point of view, and those who don’t. If your aim is to be divisive, by all means continue. You will continue to gain the adoration of fans who share your point of view, and the hostility of those who don’t. I apologize, because this has been a rather lengthy critique of your writings, and I know that it has at times been pointed. My intent has never been to offend. I know you respect debate and thought, and I also think that in writing on these topics in the polemic fashion you do, you must be prepared for such responses. Furthermore, I think you’re a smart and well-educated man, both in science and scripture, but I feel you’re being very selective in your analyses at times, and perhaps not as intellectually honest as you could be. Science certainly does not agree with scripture on pointed issues, and where they are at odds, I believe evidential and rational understanding (despite its shortcomings) of the world should win every time. Look forward to continuing this conversation further at your leisure. I’m traveling for the next month and don’t have much time to reply. Will get back to you and clarify the many misunderstandings you showed in your comment that were likely a result of poor example choices on my part. I look forward to your provision of clarity and am interested to see where it leaves us. I really appreciate how much you’re engaging with me about this subject. For the sake of allowing the readers to follow the responses in order, and allow me to address your points without missing any, I’ll re-quote them here and respond accordingly. When I use the terms “manifestation” and “essence”, that is not the same as how you read it to mean “subjective reality” and “objective reality”. A manifestation is independent of we see it to be and is as objective as the essence. It’s just that for the masses, speaking in terms of “essence” is irrelevant given that it doesn’t have any immediate effect on their experience of the world. Given that religion speaks to the masses, it would be ridiculous to open up the Quran or the Bible for example and find it calculus equations to explain the essence of astrophysical phenomena in the universe. I don’t think I have to make a case here to convince you that if you want to speak to the masses, you must address them in a language that is universally understood to them. There is a reason why not everyone becomes a chemist or an astrophysicist or even a general scientist, which goes back to differences in intellectual aptitudes. I’ll get on more about how both essence and manifestation are objective in the next example I’ll give you. May be another more rigorous example would bring this point home for you: water! The essence of water is a combination of 2 molecules of hydrogen with a single molecule of oxygen. Hydrogen itself is flammable and oxygen promotes combustion. If we were to take these two simple facts about these gasses, we would be ill advised to mix them together. Hence, we would say that the essence of water is a burning sea of fire. However, the manifestation of water is that it’s the basis for life that quenches your thirst and in fact puts out fire rather than keep it flaming. If I speak strictly about the essence or the manifestation, I’m not bringing in my subjectivity here – both are objective. Now, how come water manifests in such away given that the essence of it is diametrically opposed to what we would expect from such a mixture is a question about a mechanism, which is an essence-driven question. Meaning, we’re trying to understand the essence of the mechanism that eventually gives rise to such a manifestation. Also, if you think about it, it’s a question that can only be posed after we observe the objective manifestation. After the explanation is provided, that doesn’t all of a sudden mean we now speak about the essence and manifestation of water as “objective” and “subjective”. It just means we now have an explanation for why our very logical expectations based on knowledge of essence are incorrect. Now, let’s take a statement from the Quran about water, where a line reads “And We have made from water everything that is living”. This cannot be all of a sudden negated by any of our scientific descriptions of water at the essence level, or even our explanations for why it manifests itself in the way that it does. Let’s go back to the moon for a moment and examine it from another perspective. The companions of the Prophet peace be upon him came to him and asked for an explanation for how the moon phases happen. The answer to them came in a revelation where the line in the Quran reads “And they ask you about the moon phases, tell them they’re for them to keep track of time (months) for people and pilgrimage”. In other words, the companions asked about a mechanism of essence, and the Quran turned their attention to the bigger picture that affects their lives and acts of worship and relationship with the world, which is a manifestation issue. When it comes to essence-based questions, that was left for mankind to investigate and figure out using his intellect and other tools he can come up with. Hopefully this makes it a bit clearer for you. You’re missing the point here and I think it’s a problem of approach. The Quran is not “explaining” nature’s manifestations in human experience. It simply states them and what points to what their purpose is. It’s more about a big picture and what the whole point of all this stuff is about. When the Quran talks about a manifestation it’s not talking about it in a scientific mode. It’s synthetic as opposed to analytic, and I think the confusion comes about in conflating the two approaches and assuming that both use the same mode. I think I’ve addressed your issue here in the previous line. If not then let me know. The answer is: of course it is! This really goes back to what the basis you would use to consider something to be false. Let’s go back to the water example. If God says that water is the source of all life, and you restrict your descriptions of water to two atoms both of which would create a massive fire that would kill everything living, then you’ll assert that God has made a false statement. There are a couple of issues here, this statement of being an implication of an initial judgement, and the other of this being a conflation between raw descriptions of phenomena and theories linking them. The initial judgement is that to completely sever any vertical link to the metaphysical. Meaning, there cannot be any causation attributed to the Divine. In doing so, one would restrict absolutely ALL causations to horizontal ones. The problem with that is a a logical one, which David Hume, a staunch empiricist, mentioned in his problem about uniformity of nature. In short, one is relying on blind faith when they speak about cause and effect in terms of one thing having an innate ability to cause something else. When it comes to population genetics, and the account for how humans came to be, you’ve conspicuously missed that even using an evolutionary model there is still a “first human”. So the very same problem you’re attributing to the Adam and Even account also applies to the evolutionary account. That of course unless you want to propose that a whole bunch of humans “evolved” independently in different locations and just so happened to acquire the same number of set of chromosomes that have the right orientations, this followed by these convergently-evolved humans migrating in a short enough span of time given how young they used to die in comparison to today, and then mated with each other to give rise to us. So despite severing the vertical connections and restricting all explanations to a horizontal plane, which in turn forces us against all reason and logic to concoct an account such as evolutionary theory, we still have a glaring and incestuous problem! The evolutionary account is a problematic hypothetical linkage between observed data that has been interpreted in a particular fashion and then adopted by the scientific community to be the best explanation. It hasn’t demonstrated scientifically. Rather, it has been accepted through consensus of people who found themselves dealing with the inevitable implication of the irrational denial of anything beyond the material universe, coupled with their conflation between what is observed, the interpretation of the observations, and the explanation to link these observations. I’m not seeking to reconcile the two accounts because as you point out, they cannot be reconciled. I’m flat out rejecting that man evolved from anything and I’m asserting what has been revealed in my tradition. I have not arrived at this through blind faith. It’s the implication of a logical conclusion that has led me to Islam, coupled with the numerous festering logical fallacies and irrational propositions of evolutionary theory. This is possibly where you and I will come at odds, the reason for which has to go back all the way to the fact that I assert the existence of God as a logical necessity, which is arrived at rationally through the use of pure reason, whereas for you on the other hand, I can’t really say anything other than that for you to be a skeptic you’re making an assertion that skepticism is the way to go. If you think about it, it’s ironic to assert skepticism about everything, yet be certain in your skepticism without doing so rationally… I just realized I’m starting to digress here, so I’ll leave it for another article to address this issue on skepticism. The right question is, does the Quran describe a phenomena that has been negated? You need to strip away the interpretations, and the explanations several people have determined to be the best one. For example, the Quran has the line about every living thing coming from water. As far as I know, when we search for life, the way we do it is by searching for water. I think I’ve addressed this point already. But I’d like to add that the God explanation doesn’t start off from an empirical basis. It’s based on pure reason, and for this I’d like to refer you to my article “Reason, Empiricism, & God of the Gaps“. Well, I think your basis for rejecting all monotheistic scripture based on your rejecting one of them is problematic. Moreover, you describe yourself as having a “need” for spirituality, but currently relegate it to that which is not well understood. Does this mean you’ll lose that need once someone gives you a satisfactory empirical explanation? What if another shows you that such an explanation is fallacious from several angles. Will your need for spirituality pop up again? Or is it that your need for spiritually is a transcendent one that goes beyond having all explanation restricted to the horizontal plane? I’d have to disagree with your assessment here. I’m extremely consistent in my approach to science and hence I reject that which doesn’t meet not my, but universally agreed upon rules of logic and sound reasoning. The accusation of selectivity is more appropriately directed at the strict materialist who rejects anything metaphysical. This is not to call towards acceptance of God of the gaps arguments. It’s just that I’m not completely tunnel visioned as the materialist is and I’m taking the conclusions of sound reasoning no matter what they are. I don’t have an agenda of actively proving that I’m right and therefore will be selective. That’s what sophistry is, and unfortunately for the skeptic/agnostic/atheist crowd out there, logic and reasoning is actually on my side. The only time I’m selective is when I reject fallacious modes of reasoning. Again, much of this I’ve addressed in my previous replies here, so it will be redundant to restate what I point out regarding the observations, interpretations, and various explanations to link everything together. But I think it might be well worth it to read my article “Asymmetrical Non-Science” as it addresses some of what you bring up here. Regarding what you bring up regarding synaptic plasticity, I completely agree with you. But this is quite different than evolutionary theory. What one does in evolutionary theory is seek to establish an explanation for how we got here and what brings about all this diversity of life. It’s not active biological science as what one does in a lab to understand disease or mechanisms of learning as I do. With reference to my field, it’s not a completely settled issue, but we’re able to physically investigate and directly observe it. If you really make a logical comparison between the evolution and synaptic plasticity, you’ll find that it’s not even like apples and oranges. I keep coming against this with your analysis Cam. I’m not attacking the body of evidence. Evidence is evidence and no two people can argue about seeing a particular phenomena. Where we part ways is in the reasoning process to come to a particular conclusion. Sophistry is defined as reasoning that seems logical but fallacious, thus making it deceptively sound. Your analysis right here in this last statement is a sophistical attack against my critique. You make an accusation of me rejecting a large body of evidence, when in fact I’m rejecting the fallacious interpretations of the evidence and I’m rejecting calling the interpretations an evidence to push the hypothesis through as an actual valid theory. But claiming that I reject the evidence you now set the reader up to present me as some irrational writer who doesn’t accept reality of physical observations, and in doing so you end up discrediting what I say about anything else. For if I reject reality that is seen and felt by everyone, I surely can’t be taken seriously on anything else. Moreover, what you’re in fact asking me to do is to make a critique of the actual evidence rather than accept that I’ve criticized the interpretation of that evidence and the hypothesis that followed from that interpretation, which happened to also go in reverse since the interpretations now are being driven by the “theory” that’s being dogmatically asserted as Truth. In doing so, you’ve now equivocated interpretations and actual evidence, and the reader will now see it as if I reject evidence rather than interpretation and hence you make my whole critique come across as if it’s illogical and therefore invalid. Furthermore, you accuse me of presenting a standpoint that is lacking quantifiability precisely by building upon the fallacy of equivocation that you’ve set up here in your criticism. This is finally followed by an accusation that I haven’t followed through in my analysis of why evolutionary theory is really a non-starter. I have much more to say about this but I think I’d rather focus that towards another article than put it all in a comment that might be read by only a few people. However, I think I’ve said enough here to address this part of your contentions. I’m not sure where the name-calling is, and my pointing out the limitations of the scientific method is to wake up those who have slept peacefully with blind faith in it. Of course I’m not asserting that these are not recognized by scientists, especially since I experience their recognition of it on a daily basis when we read their publications and attend their seminars and conferences. But that seems to be where their recognition, as well as all those who worship this method, stops. The function of science is to describe what it can readily observe and explain that which it can directly test. Beyond that it’s no longer science. Instead, the activity scientists engage in once they’re out of the direct observation and testing of phenomena becomes more a mental activity as they start making metaphysical claims about reality. This is where they’re exposing themselves to be pushed for their irrational statements about that which they can’t prove in the proper sense of the word. In fact, I’ll go as far as to say that anyone who goes through that much trouble and make so many improbable suggestions to link the phenomena they observe is either purposefully doing it to avoid particular conclusions, or they’re limited by the paradigm they adopted for how to view the world. Either way, it’s unacceptable to start with prejudicial platforms all in an effort not to advance scientific knowledge, but to establish a materialistic worldview devoid of anything sacred or beyond it. You present the theory of evolution here as something that draws evidence from various fields to support it, when in reality it’s the other fields that start off with the assumption of its validity. I’ve lost count of how many times I’ve read papers in various fields that begin with something along the lines of “Using an evolutionary model, blah blah blah”. None of it, and by none I’m not trying to use the word “none” to exaggerate in order to make a point, has any direct bearing on science, and I mean bearing on real science. It’s all a way to explain how everything came about materialistically. It’s a way to get Nature to explain itself from within itself, which is circular reasoning. It’s riddled with more fallacious reasoning than I think anything else has ever had. It’s not the scientific method that’s the problem here. It’s the reasoning ability, or lack thereof, of those who continue to promote this as reality. You ask for a rebuttal and a serious critique of such a widely unanimously accepted theory. I’m not the first, and certainly won’t be the last to write on this subject. The problem is that we either receive sophistically formed critiques of what we write and then are presented to be just religious and irrational people looking to prove what we believe in. Furthermore, because we’re writing on the reasoning process, which is something that cannot be shown physically, it doesn’t catch the attention of those looking to be bedazzled by “stuff”, so it ends up in philosophy books and journals. Moreover, due to the unfortunate loudness of young earth creationist Christians, anyone writing against evolution is automatically viewed with much suspicion. And finally, if you think that one can just “write a rebuttal” against evolutionary theory, and moreover be welcomed for it, I think you might want to start looking up the not so few number of professors and scientists who lost their tenures for voicing their dissenting critiques. Evolutionary theory, unlike anything else in science, is NOT to be questioned. This in turn makes it a dogma, NOT science. While I agree that induction is not invalid, despite it being problematic logically, I’d have to contend with your calling it a probabilistic claim as if it’s objective. As you know, there is a difference between subjective and objective probabilistic statements, and as far as the case is for evolutionary theory, the induction is subjectively probabilistic rather than objectively. Despite my acceptance of simple facts about the age of the Earth, changes in geography and climate, all that does is make a case for adaptational changes that can be observed phenotypically. However, to induce from that complete organismal changes is where neither logic (fallacy of composition) nor biology (genetics) can make it fly from an objectively probabilistic standpoint. But before getting into this specifically on evolution, we have to get a few terms defined and explain what we mean by what we say. I’ve already written on this and I you’ve read it in “The Theory… I Mean Hypothesis of Evolution“, so I’ll hold off about this here. I think your misunderstanding of what I intended by what you quote of me here is due to how I wrote it. I’m talking about something deeper here than what came across. It’s not strictly about hedonistic pursuits. It’s the ego, the lower self, or what we call in the Islamic Tradition the “nafs”. It’s an arrogance of the inner self that humans attain through their ability to comprehend and gain knowledge and power. This is not restricted to nonbelievers. Rather, it’s a general human phenomenon. Believers become arrogant and self-righteous because they get deluded into thinking they know something more through their own powers. Non-believers think they’ve arrived at some knowledge that eluded believers. In all circumstances, individuals of this type will not give up their belief system and their established worldview, even if they were shown to be wrong, because to them it means a form of concession to something that has overpowered them intellectually. It’s not that easy to accept that one has been outsmarted, especially if they see themselves as having heroic intellectual powers. From that I’m reminded of one of our pillar figures in the Islamic Tradition, Imam Ash’Shafi who said: I’ve never entered into a debate except that I hoped the Truth manifests on the tongue of my opponent so that I submit to it. My aim is not to further polarize readers as much as it is to really point out where things go seriously wrong. You should know that I’ve been receiving messages through email, Facebook, and Twitter from many that have finally had their confusions settled and their doubts laid to rest. The problem is in the science-worshiping atheist polemics out there from people such Harris, Dawkins, Maher, Hitchens, Tysson, and the likes of them. As one of my readers has rightly pointed out to me, there is a slew of these individuals and hardly any from at least the Muslim side who can duke it out with them just on grounds of reason and logic. I seem to be hitting a sore nerve with those who disagree with me, and I really don’t think it has to do with how I portray them as much as it does with possibly how I might be exposing what they’re trying to veil. I’m not trying to be self-righteous here, and I’ll be the first to tell you that I’ve got more problems with my ego and “nafs” than I can count, and although I’m trying to work on myself as an individual, I’m hoping God will overlook my shortcomings when my time is up. But I do believe that I’ve dealt with you accusation of being selective and intellectually dishonest sufficiently to put that to rest. That depends on the premise you begin with and what Scripture you speak of and how define being “at odds”. Here is something you might find interesting from the Islamic tradition that has been said in more than one way by our scholars, but I believe was best phrase by Ibn Rushd, or as he is known by the West Averroes: “God has placed reason and wisdom in man’s intellect and did NOT give him revelation that goes against those. Where you find revelation, you’ll find reason and wisdom agreeing with it and each will corroborate each other”. From the very beginning of a child’s education in Islam, we’re taught that we cannot believe because our parents believed or because someone claimed that God revealed that we have to believe in. Instead, it’s a purely rational conclusion towards acknowledgement of God’s existence, followed by an acknowledgement of His Prophets and Messengers, followed by acknowledgement of His Scriptures. Note that I’m not using the word belief here. From the Muslim standpoint, previous Scriptures have been lost, and what remains has been altered except in certain places. That’s where the final Messenger Muhammed peace be upon him comes in. The Quran being the Final Word acts as an overseer of other Scriptures, and where they have it wrong it corrects them. When it comes to the world, I’ve already addressed this issue in several ways in my articles and in this reply to your contentions. The bottom line is that there is no contradiction with either actual evidence (not interpretations), or with reason and logic. Truth is not relative – it is absolute. One just has to start with the premise that they will submit to it before they embark on the journey of seeking it out, no matter what that entails. really appreciate the thought and effort you’ve put into this response. i’m in the midst of a move and some applications, but i’ll do my best to continue the discussion in the near future. i enjoy the verbal conversations as well, but i think there is significant value in having a public and written dialogue so that others may see the angles we cover. also, for slow-witted minds like myself, something to read gives me a chance to comb things over and think on them. to be honest, i’ve always wanted to have a conversation such as this with a person of strong faith and knowledge, and i thank you for taking the time to do so. there’s where you can find a response! I think there is a significant difference between being against a framework (evolution) for the sake of an alternative framework and being against it from point of religion, ideology, philosophy or logic. I think philosophers did not do a good job in the last century. They failed to understand or misunderstood even the most basic concepts of physics. For example, Einstein’s relativity theory was challenged many times on religious, logical and philosophical bases. However, it ended up being useful to the extend that it is used by our GPS systems in our cars. Muslims, on their behalf, are free to comment on scientific scenarios, hypotheses, theories and even rock solid facts. However, I don’t think Islam itself officially and clearly favors or disfavors any scenario, hypothesis or a theory. One can be motivated by Islam and put forward an hypothesis that argues that species appeared on the surface of the Earth suddenly. This is 100% legitimate scientifically, regardless of its motivation. However, this would be a hypothesis, not a religious position. Religious claims cannot be tested or compared with scientific claims unless they are put into form of a hypothesis. In my opinion, Islam would not endorse any hypothesis even if they are motivated from its own principles. I might note in passing that the best thing about the scientific method is that it does not include an article regulating the motivation behind any scientific claim – it does not question the motivation, as long as the idea is open for a scientific exploration. “The Hour has come near, and the moon has split [in two]. Now, believing in this is an article of faith in Islam. However, it does that mean that Islam officially stipulates the hypothesis “When you make an extensive research about the Moon, you will find the traces of this splitting of it 1400 years ago?” I personally don’t think so. Believing that the Moon split as a miracle of the Prophet Muhammad (phub) is a different thing, turning it into a testable hypothesis is another thing. My point here is that even if it gets undeniably proven one day that the Moon did not split, this would not change the status of believers even a bit. Again, searching for the traces of the split on the Moon is a perfectly legitimate research. However, telling the researchers what they will find would not be science. I understand brother Muhammad’s disappointment due to scientism – even the most prominent scientist cannot resist the temptation of making theological claims when they are in front of a camera or when they write popular books. However, their mistake and arrogance should not create a backlash against science or a polarization on the believer’s side. Shortcomings of the scientific endeavor is not only a problem of the atheists, but also of the believers. I think it is very unfortunate to hear from believers statements such as “Scientists have not been able explain so-and-so.” How do the gaps in our knowledge make believers’ faith firmer? I think attunetohum’s points deserve reconsideration. I think it’s an unfair and quite a subjective judgement on your part to say that philosophers misunderstood even the most basic concepts in physics or biology or whatever else. For one, it’s problematic to refer to non-scientific metaphysical claims as science just because scientists are making them. The issue at hand here is that with scientists is an ability to utilize tools to reproduce phenomena. Once one establishes an apparent cause and effect due to the reproducible sequential order of particular observations, it is not a necessity to have any further explanation for how and why it takes place in the way that it does. A dog can be tapped on its nose for soiling the carpet, and after a few times it realizes that its initial action generates a sequence of events that is unfavourable for it, and it therefore stops initiating this sequence of events by stopping to soil the carpet. It has no concept of why soiling the carpet as an action in of itself is bad and why it upsets the owner and what it all means. But that doesn’t stop it from acknowledging that it shouldn’t do that. Arguing against a framework of thought using a rulebook for what makes correct thinking and what doesn’t is precisely the job of logic and philosophy, whereas using something like religion or any other ideology can be relegated to being as you called it “a point of view”. When we say that evolutionary theory cannot be accepted on logical grounds, we’re talking about the thought process that went through the scientists’ minds in order to come up with their explanations for what they observed. So contrary to what you seem to suggest here, rejecting evolution is NOT about rejecting data and physical observations. It’s a rejection of the explanation given for such observations. Now, when it comes to Islam clearly favouring or disfavouring a scenario, you’re both right and wrong in making that statement. For the most part, Islam doesn’t tell us how to investigate the world, but it tells us to use our intellect and to observe and reflect. However, we do have some very clear assertions about Creation, specifically about humans, that we don’t assume to be metaphors given that there is nothing in our tradition that makes them as such. Hence, for us Adam and Eve were unique creations. Where this becomes a problem is when scientists are proposing the explanation for life based on evolutionary theory. Unfortunately, we have many Muslims that are following suit with the Catholics who are now saying Islam has no problem with evolutionary theory being an account for how life might’ve become the way it is today, but we make an exception for humans. Where is the intellectual honesty with that? Using the proposed explanation for life based on evolutionary theory, there is no rational reason for rejecting that humans arose from a common ancestor as well. This in turn will make Muslims irrational and suffering from a case of cognitive dissonance. I personally don’t reject evolution by appealing to the Quran for reasons. I studied this subject deeply, taught it at the university level laboratories, and discuss it day in and day out as a paradigm that I work from within. When I say it’s festering with problems from a rational standpoint, I’m not saying this from an emotional feeling of threat to my belief. It just so happens that on the basis of logic and pure reason, the conclusions support what the Islamic tradition asserts. Faith in Islam is not built upon what scientists haven’t been able to explain. If science is the basis for one’s faith, they should then follow in line with their preachers: Sam Harris, Richard Dawkins, Daniel Dennett, Christopher Hitchens, Neil DeGrasse Tyson, and the rest of such individuals. But in doing so they must recognize that they’re not putting their faith in what they observe and measure. They’re putting it in the reasoning capacities of the scientists who make unjustified and irrational metaphysical claims to explain the world they observe, and then claim that to be knowledge. The ironic thing about this is that knowledge deals with Truth, which is absolute, but we don’t have to go far back in the history of science to see an enterprise that never settles on anything absolute, thus making it conjecture rather than Truth. Lastly, I’ve given attunetohum’s points a pretty extensive response, which I hope the readers consider carefully due to the subtle nature of some of the points I brought forth. I’m not seeking to make Evolutionary Theory compatible with Islam at all. I’ve written other articles on it that I published here that show a nuanced approach to it that doesn’t group it all under one understanding. But on the whole, it’s more an ideology than it is science, and therefore we have to reject it given that it tries to masquerades as science. Regarding Adam and Eve, they were most definitely a unique creation of Allah and they didn’t not have any previous predecessor. This is the Islamic narrative that we abide by, and we don’t seek an alternative to it. Evolution is really the alternative to creation and to religion as a whole, which is why Richard Dawkins quite correctly acknowledges that for one to believe in it they would have to eventually accept atheism. I’ll be writing many more articles on this insha’Allah and will eventually have to group it and order together for an actual book so you can follow the whole breakdown of it. As I’ve already discussed elsewhere in my other articles, evolution is a complicated term that acts as an umbrella for different explanations of phenomena we observe. So I have a nuanced approach to it that you might find best dealt with in reading what I’ve written previously. But in short, I don’t reject the existence of fossils, and I don’t reject when we’ve figured out they existed. But the explanation that is based on the premise that things have efficient capacity for cause, and that there is only the physical realm and nothing metaphysical let alone having a metaphysical affect the physical, I’d have to disagree with given the fallacious nature of the premise. I’ll write more on this as I get an opportunity to do so in the near future insha’Allah. Salamalaikum Thanks for the reply again, I am willing to read a book called Ascendancy of Scientific Dictatorship by Paul David Collins and Phillip Darrell Collins , some may call it a “conspiracy” But critical thinkers which I tend to associate myself with will know this is true, I don’t know if you have read the book but I suggest you do try some time and examine the book because I don’t think I have the intellectual capacity to read the book, I know you may think that Illuminati/Freemason or these Secret Societies are myths but they are true I don’t know if you know anything about them but I hope you do. I suppose Hamza Yusuf has probably talked about that with you I am guessing he was your tutor at a College? I used to think all these “conspiracies” were just made up stories but then I started to research about these Secret Societies and I know they are real They are mostly likely Zionists, if you look at the Elders of Zion and etc. they have protocals one talking about getting rid of religion to introduce materialism and science I know people may think it is ludicrious but I sure don’t, And Jinns too I have never seen you talk about them but it would be nice if you did. Pingback: A religion and science debate continued. | a.tune.to.hum. Understanding the fossil record has proven to be a difficult task, one that has yielded multiple views in the matter of fossil dating, establishing coherent phylogenetic trees etc. Some palaeontologists have attempted to publicise the idea of consistency between the discovery and dating of fossils and the current formulations of the tree of life, the technical literature, however, is far more complicated and nuanced. For example, Archaeopteryx, is commonly held to be an intermediary between dinosaurs and birds despite it appearing in the fossil record a fair few million years before its putative dinosaurian ancestors. This may be a question you’d want to reserve for a future article, but what is your view on how species – apart from human beings – appeared? And with regards to Adam (AS), the Koranic account of his provenance is from dust, and if I recall correctly, your view is that this ‘dust’ was ‘moulded’ into his form here on Earth itself. My question is, would you propose a methodologically natural mechanism (a guided abiogenesis to start things of maybe?) that we may some day be able to discover scientifically for the horizontal causation of this evolution from dust?